When only the utmost best will do, reward yourself handsomely with the pure quality of this Shinola Detroit® The Canfield Sport Chronograph Calendar. Polished stainless steel case and three-link bracelet. 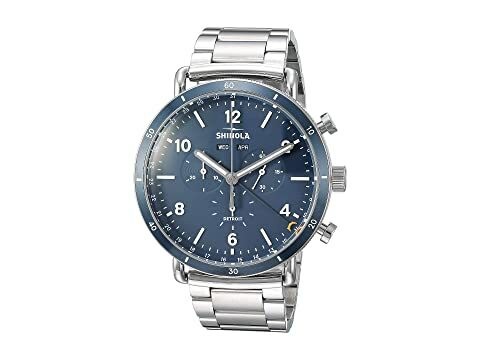 We can't currently find any similar items for the The Canfield Sport Chronograph Calendar 45mm - 20089890 by Shinola Detroit. Sorry! The watch is beautiful. But it isn’t working, I assume it’s just out of batteries. But when you spend this much on something, you expect it to work. I will probably return it and just go to an authorized dealer.